Belgian beers don’t tend to be black and you rarely see a Belgian stout – it’s just not their thing, apparently. 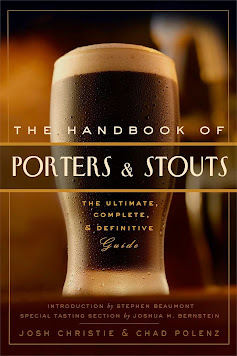 Additionally the “black ale” style is also quite rare as it’s not quite a stout or porter and definitely not a Black IPA – it’s just a black beer. That makes Rare Form L’homme Chat Belgian Black Ale quite unique to say the least. I poured a 16oz growler into a tulip glass. It cost $6 at the tap room ($0.38 per ounce). Appearance: Opaque black body (though hints of ruby red can be seen through light). Pours to a fairly small, surprisingly pale, foamy head which laces and retains quite well. Smell: Fairly substantial nose of roasted malt, slight coffee and a hint of smoke. Taste: I have a hunch “L’homme Chat” may actually be an Irish Dry Stout recipe that has been fermented with Belgian yeast. At least that’s how it seems to me, and it works quite well. It begins with the classic roasted malt character; lightly bitter, with a touch of iced coffee flavor. There’s a significant hop character and it’s much stronger than in any dry stout. Just a faint touch of dank resin, though nowhere near that found in a true Black IPA. On the second half the bitterness gives way to sweetness and there’s notes of milk chocolate and some dark fruit. I really don’t get any classic “Belgian” character out of this beer, which is fine since the final product works well. Drinkability: Probably what’s most impressive about this beer is the fact it’s only 3.7% ABV and it in no way feels weak or watery. In fact, the first thing I noticed wasn’t the taste, but the texture: it’s soft, but has real weight to it. There’s more mouthfeel here than in some macro light lagers. The brewery occasionally offers L’homme Chat on nitro, and it works even better. I wouldn’t say it’s refreshing, though it’s plenty tasty for such a light body and still sturdy enough it could stand up to a meal.